Owning a new home loaded with your signature touches is great. Loving where you live is about finding the right location, community, and deciding on the perfect floor plan. To stay happy and healthy, lifestyle balance and access to fresh air and nature are everything. Which is why Taylor Morrison builds homes near fantastic outdoor fun and why many of our neighborhoods feature resort-style amenities onsite. As America’s Most Trusted® Home Builder, we know you count on us to do all the legwork and launch new home communities inspired by you. So, grab your coat, clubs, swimsuit or walking shoes and prepare for good times under blue skies. To say that the Balmoral 50s’ amenity complex in Humble, TX offers something different is an enormous understatement. Taking recreational watersports to new heights, the massive 2-acre Crystal Lagoon is unlike anything you’ve ever seen and the first of its kind in Texas. Work on your short game just steps from your front porch – but there’s more to the Balmoral 50s putting green than trimming strokes off your handicap. Check out that fantastic view! When night falls, it’s time to throw on a light jacket and pack up your favorite beverage. This lagoon-side fire pit looks like something out of holiday brochure. Are you ready for vacation-themed living? Classy, luxurious and stately, the clubhouse combines the best of classic architectural charm with fun indoor/outdoor entertaining spaces. It’s hard to imagine a more beautiful facility for hosting a get together. Offering access to Lake Lewisville, Waterford Point at The Tribute is a water lover’s dream. There’s so much more to this lakeside lifestyle community than being a boater’s paradise. Outdoor amenities at The Tribute include a pair of golf courses, aquatics center, dog park, trails, kayak launch, playgrounds and beautiful parks. What’s even better is that Waterford Point provides additional facilities specifically for this neighborhood. From a dedicated clubhouse, pool to firepits, outdoor yoga at the Zen garden, picnic areas, BBQ grills and more, getting outside to play is as simple as walking out your front door. Good times and great friends. Challenge your neighbors to a game of bocce and you’ll soon learn why this sport is rising in popularity. Infinity pool with a lake view? That’s hard to beat. Whether you’re swimming laps or lounging in a deck chair with your favorite book, this is the place to be when the sun is shining. Houses for sale in Leander, TX at Travisso feature access to a 9.5-acre recreation complex with striking views of the surrounding hills. 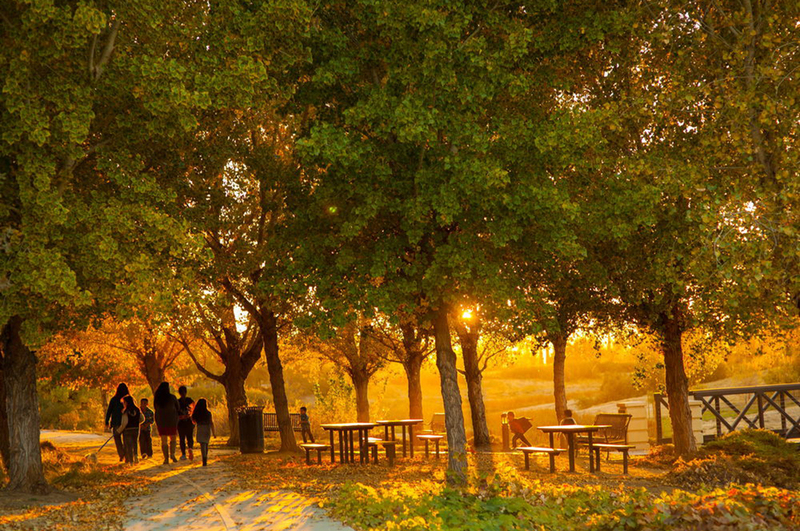 Speaking of hills, a nearby 58-acre regional park and an expansive trail system make it easy to leave your worries behind for a relaxing stroll through the forest. Leander, Texas real estate with all the bells and whistles you’ll ever need to enjoy an active lifestyle. Cool down on hot Texas days with a trip to the Splash Pad. It’s hard to keep the smile off your face when the cool water starts spraying. The jungle gym is conveniently shaded to protect skin and keep the play area accessible during the peak midday sun. Fun and laughter for the little ones with spectacular views for mom and dad. Head for a dip in the gorgeous lake-style pool and be instantly transported away to a tropical location. No matter how old you get, there’s just something magic about a day at the pool. Terrain at Ravenwood is now open and if you’re looking for outdoor living near Denver, you’ll be blown away by everything this community has to offer. Hike, bike, run, swim, ski, raft or climb. Seriously, you can do it all here. Woof. Woof. There’s no excuse for leaving your 4-legged friend at home with access to the beautiful Dog Bone Dog Park. Splish – splash. The Terrain Swim Club is the perfect place to beat the heat and get a full body workout. The Meadows Discovery Collection is conveniently located in a popular area of North Peoria – and along with an impressive array of onsite amenities the community is also near to two of Phoenix’s most prized outdoor facilities. Enjoy the crack of the bat and Spring Training action at the Peoria Sports Complex or pack your swim bag for a thrilling adventure to Wet ‘n’ Wild Phoenix. Bocce, firepit, pickleball and an unlimited supply of poolside bliss. Day or night, the Meadows Discovery recreation complex is the place to be. Double down when cooling off the kids with this innovative canopy-covered splash pad. Perfect for scorching desert afternoons, the little ones stay UV safe while they splash and play. Chill out by the fire or get your ping-pong on, the outdoor lounge is a fabulous spot for enjoying the beauty of the pool without having to lather up first in sunscreen. 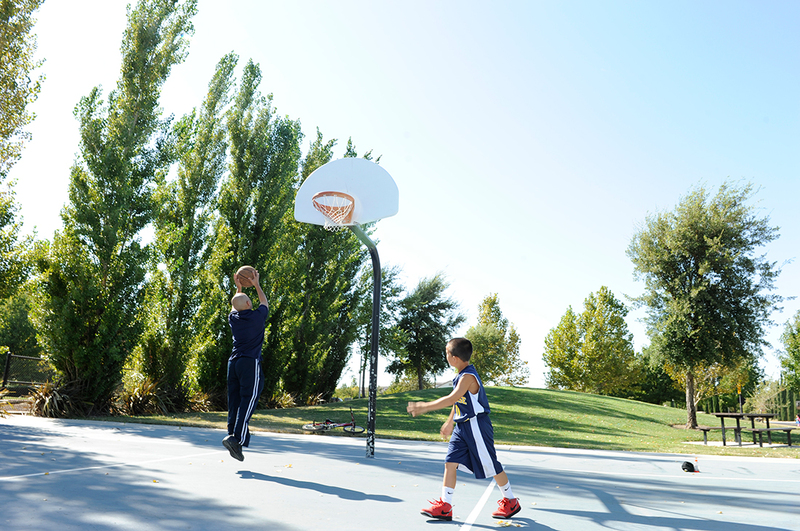 At Caselman Ranch, the community park offers a true centerpiece for creating a cozy neighborhood feel. Load up your picnic basket and lay out a blanket on the grass. Maybe tote your B-Ball along for a friendly game of H-O-R-S-E on the half court. Zephyr Ranch in Mountain House, CA is redefining the way people think about Bay Area living. Nestled in nature, just east of Livermore, the community offers true hometown living with a village vibe. Taylor Morrison’s homes are located in the beautiful Hansen Park Village and if you love outdoor fun, Zephyr Ranch has got you covered. There’s nothing like playing a game of 1-on-1 against your old man. It’s America’s pastime. Get involved! Stay fit and center yourself with long walks along wooded trails. Houses for sale in Upland, CA at Westridge at Sycamore Hills offer access to a beautiful amenity center where a fun So Cal weekend is as easy as swimsuit, BBQ and a blanket to lay on the grass. The community pool is centrally located and convenient to every lot within the development. Active kids stay healthy and focused. 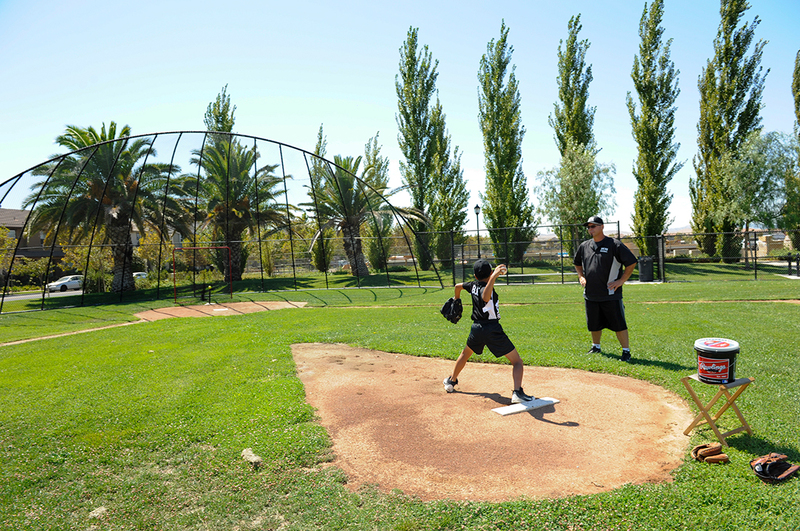 Give your little ones a boost with youth sports in the park. Head to Whole Foods and fill up your basket. The popular healthy supermarket chain is just a short bike ride away. Now that you’re inspired, the next step is to lace up your boots and get outside. New home communities in the best locations with the most popular amenities – it’s all part of the Taylor Morrison Difference. Bow-Wow & Meow! Now Taylor Morrison New Homes Feature Pet-Friendly Amenities.